Have your products in place in the most lucrative markets with our product distribution and warehousing. Take full advantage of our distribution network and save time. Get your product in the hands of consumers and capitalize on your opportunities. We manage every step of the process including design and durability testing. Eliminate the guesswork that comes with product sourcing across the world with our approach to supply chain management. React quickly to changing conditions. Allocate the power and resources at your facility more efficiently with cable assemblies and design from King Power. Stay connected and keep your business moving. 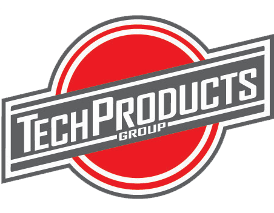 Tech Products Group understands the intricate process of bringing a new product to market and working within the confines of a limited budget. Our company offers a broad array of resources that support you during every step of the development process including engineering services and logistics management. You don't have time to waste, and our broad array of resources is focused on completing your project on time, and within your budget. We have been doing business for more than 15 years and we are ready to ensure your delivery schedules are met. Ask about our special offer for new clients. Contact our logistics management team for the design and engineering services that help make your product a success.